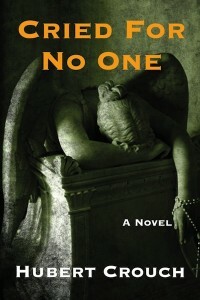 In the opening scene of Cried for No One, a debut novel by Dallas trial lawyer Hubert Crouch, a young girl’s disinterred corpse is discovered on a defiled church altar. Things only get stranger (and more sinister) from there. In Cried for No One, Crouch spins a compelling courtroom drama—in a sense, unearthing in fiction an actual cold crime that’s always troubled him. 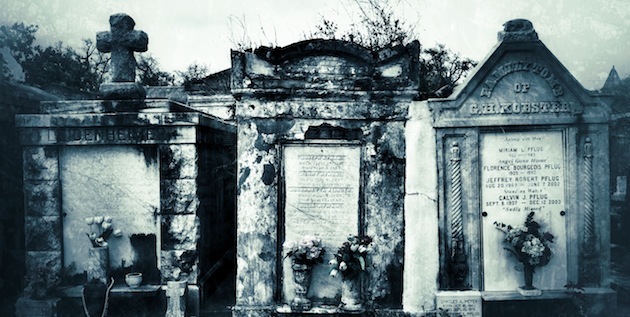 For years, Crouch was haunted by his most bizarre case, involving a grave robbery that went unsolved. With that as a starting point, Crouch has constructed a fast-moving narrative which, interestingly, hinges not on a guilt-or-innocence criminal trial, but on a big-money civil case. He’s created colorful characters by splicing together a motley assortment of tics and traits he’s observed during his 40-plus years of litigating toxic tort, commercial, and personal injury cases. And as an insider in the Dallas legal community, Crouch plots a plausible tale—albeit a complex and labyrinthine one…much like, one might suspect, the smoky back rooms of Texas’ justice system. There, as elsewhere, the distance between the way things really work and the way they should work, he seems to suggest, is vast. Earlier this fall, executive editor Hal Humphreys chatted with Crouch about the vagaries of Texas justice, spinning compelling characters and stories from real-life experiences, and the importance of having a great investigator on your legal team. HUMPHREYS: I started your book on a Saturday, about noon, on a weekend camping trip. By 10:00 that night, I was in the sack with the headlamp on, finishing the book—and I’ve got to say, it was a fun read. CROUCH: I’m so glad you enjoyed it. CROUCH: Not really. Obviously, some characteristics come from me; some from other lawyers I may have observed—just like (ostentatious corporate attorney) Cal Connors is really kind of an amalgam of a number of different people that I have run across. That’s part of the fun of writing fiction is that you create these people that don’t really exist. You just pick and choose traits that you want in a character. It’s fun—you’re making your own reality. HUMPHREYS: Obviously the Cal Connors character is kind of a caricature; we’ve all seen that lawyer somewhere along the way. CROUCH Absolutely. Flamboyant lawyer who dresses a certain way and just has that attitude about him. I didn’t really want to come across as terribly critical; I just wanted to make him an interesting character. HUMPHREYS: One of the things that I found interesting is how Jace Forman and (journalist) Leah Rosen spend a lot of time doing what I would call down-and-dirty investigative work. As a lawyer, how much emphasis do you place on investigative work, either by a private investigator or staff in your office? CROUCH: A lot, and it’s becoming more and more common. So much of what you see on television is the actual trial itself, but they don’t deal as much with the nitty gritty of preparation. With the Internet now, and social media, it becomes increasingly important to do your investigative work. I’m not talking about necessarily tailing somebody, but just Internet investigative work. I saw a clip on CNN about this guy— he was a scout leader at one point — who’d sued another scout leader for an automobile accident, saying he was permanently disabled. But they had a video that he had taken of himself and another person in Utah rolling this huge bolder. HUMPHREYS: I saw that video. It went viral. CROUCH: That’s a pretty good example. Even if it hadn’t gone viral, you want to get out there and find everything on the Internet that this person who’s suing your client has either posted or said about himself, and you can use those things to impeach their credibility. So, I think that the investigation portion of things is very important. Before social media, you would hire a private investigator to get photographs of someone with a disability claim who’s playing tennis or whatever. And then when they get on the witness stand, you impeach them with the photographs. Now you’re seeing this information on the Internet — what they write, what videos and photographs they post — and people don’t think you’re going to look for it . The investigation portion of things is very important…you want to get out there and find everything on the Internet that this person who’s suing your client has either posted or said about himself, and you can use those things to impeach their credibility. HUMPHREYS: It’s crazy what people will post. CROUCH: It’s insane what people put online. So yes, we’re looking to find out as much as we can about the other side and try to exploit any weaknesses that may pertain to the case. HUMPHREYS: As a private investigator working on criminal defense cases, I spend a lot of time identifying potential witnesses and then talking them into making a statement that they don’t necessarily want to give—much in the same way Leah Rosen’s character tries to convince a doctor to tell the truth about falsified medical reports. It struck me as one of the more realistic examples of boots-on-the-ground investigative work I’ve seen in print. Talk to me about the challenges investigators, attorneys, or journalists face, in convincing witnesses to overcome their fear and make statements or go on the record. CROUCH: I think a lot of times you’re faced with the recalcitrant witness who has very, very important information, and there’s just a general feeling of, “I don’t want to get involved.” One of the most important things to do is to try to find a good reason he should get involved, whether it be to bring justice to light or whatever will convince them to give an affidavit or deposition or (better yet) come live and testify at trial. It’s the same for investigative journalism. A lot of times people don’t want to be quoted or don’t want to get involved. They are worried about their families. So whether you’re a reporter or a lawyer, you’ve got to find a way to be persuasive enough as to why they should get involved. So that’s a challenge I think for both a reporter or an attorney — any kind of investigator, really. HUMPHREYS: I qualified as an expert witness in an alleged fraud case recently. One of the lawyers had been working on the case for eight years. The trial never got past opening statements; one side moved for a mistrial, which the judge granted. They ended up settling two days later. Are we facing a settlement society where people just hijack other people for whatever money they can extort? The jury trial as we used to know it is going away. One, we have a lot of employer/employee agreements that compel any dispute to go to arbitration, so that takes the decision away from the jury. I’m also a mediator, by the way, (and mediation is a non-binding process). As mediators, we suggest to clients, “You want to control your fate, not have a jury control your fate.” And then the mediator does (for lack of a better term) shuttle diplomacy to try to convince the parties to settle. All the cases I mediated settled except one. HUMPHREYS: Yeah, we’re hemorrhaging money here. CROUCH: A lot of judges have become very concerned about it, and a lot of law firms have trouble deciding whether their young lawyers should become partners because they don’t get that trial experience. Whereas I started practicing in 1976, and when I was a young lawyer, there wasn’t any such thing as mediation. I might have five or six cases on a Monday morning, and the previous week I didn’t know which one was going to go to trial. It was a different world. Now, is it a better world or a worse world? That’s the topic of the day, but some people say it’s better now than it was before. There’s no trial by ambush; we do all our investigative work; we take all of our depositions. So we really have a way of assessing the value of the case, and all cases should be settled if everybody looks at them reasonably. CROUCH: So there are two sides of that coin. You’re not seeing a lot of cases go to trial, and a lot of the ones you do see that go to trial are maybe rear-end collision. I think it’s problematic that we have a judiciary that’s elected…It just creates a perception. HUMPHREYS: Haha! Right. So, one final question: your thoughts on justice in Texas? CROUCH: I mention this at the back of the book. I think it’s problematic that we have a judiciary that’s elected. I think most of the judges don’t like it. They have to go out and solicit funds. They have to ask people to support them. It just creates a perception. It’s wrong. I don’t know exactly what the right system is. I know federal judges are not subject to the same criticism; they’re not out asking for money. CROUCH: You can read about it in other states as well, but because we have an elected judiciary here, politics and money get into the equation and you can have some problems. HUMPHREYS: Mr. Crouch, thanks for taking the time to speak with me. CROUCH: It’s been great to talk with you! I also found the book to be a quick and fun read. Nice work, Mr. Crouch!